If you live in the United States, you might not be that excited for the Lumia 800, Nokia’s previously leading handset, given that the Lumia 900 has been announced, but if you do want one you can now get one. This truth is provisioned on your willingness to spend nearly a grand and get to a Microsoft store. Yes, you can buy a AT&T-optimized (but unlocked) Lumia 800 at all Microsoft Stores, but only as part of a bundle that will run you some $899. As noted in our previous coverage, the bundle will contain a a Purity HD Stereo Headset, an in-ear Bluetooth headset, a Nokia Play 360 Wireless speaker, and the Lumia 800 itself. We like the idea of the bundle, as for some it’s a great way to get a full Nokia experience, but we expect that most people just want the darn phone. WMPowerUser says that it expects that a “bundle-free handset will be come available eventually,” and we agree, but when is the question that most want answered. Our guess, based on air, is that the bundle-only sales scheme will last at least a month. 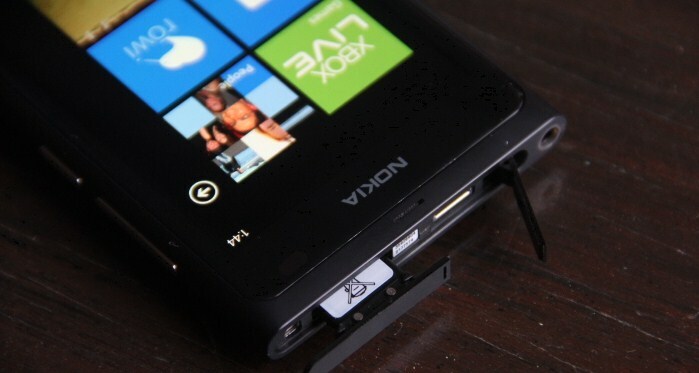 So, here is our question to you, dear reader, if you are one of those people who wants a Lumia 800 over the 900 (it is smaller, which can be pocket friendly): are you going to snag a bundle, or wait for it to be sold sans accessories? Let us know in the comments. Read next: If #OpGlobalBlackout is a ploy to blackout the entire Internet, could it work?